Newcastle, Australia's sixth largest city, is located on the mouth of the Hunter River in New South Wales, Australia, 150km north of Sydney. 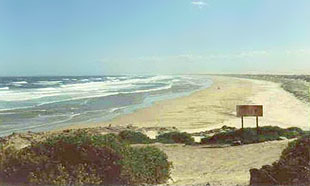 Nobbys Signal Station is a famous Newcastle landmark. Newcastle harbour is formed by the surrounding districts River. Once a mecca for thousands of sailing vessels from all over the world, it now services bulk carriers loading coal from the rich surrounding districts Valley mines, and pleasure boats. 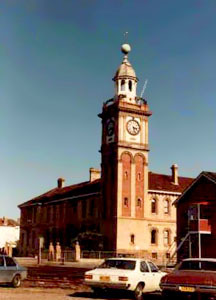 The picture shows the time-ball on top of the Newcastle Customs House, which dropped everyday at 1pm enabling sailing ship captains to synchronize their ships chronometers. 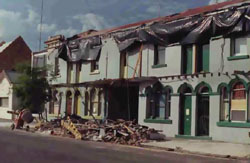 Many of Newcastle's historic buildings and homes were severely damaged in the 1989 Earthquake but have since been restored. 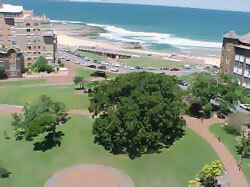 Nobbys is the name of the famous landmark, which is situated at the entry to the harbour of the Port of Newcastle. It is also the home of the signal station, and marks the place where the Hunter River flows into the sea. 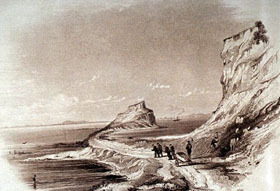 In the early 1800's, "Nobbies Island" was a welcome sight for the captain and crew of the sixty-milers, which was the affectionate name of the coastal ships running between Sydney and Kingstown (as Newcastle was then called). Nobbys is Newcastle's and the Hunter Valley's maritime gateway to the world. Things to do include fishing, sunbaking, swimming and surfing. 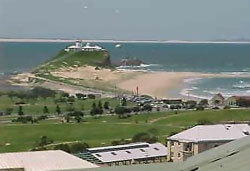 In latter years, Nobbys became a signal station, the gateway to the world for the port of Newcastle. Large bulk carriers ship coal from the Hunter Valley to the rest of the world. Other bulk carriers bring resources such as iron ore, alumina, and other products into the Hunter Valley for processing. Visiting the Museum at Fort Scratchley. Going to Nobbys Beach and nearby Newcastle Beach. Trying out the restaurants and bars along the foreshore. Catching a ferry over to historic Stockton. Visiting the Art Gallery, Regional Library, and Regional Museum. Visiting the private art galleries around Cooks Hill. Going shopping in the Hunter Steet Mall. The Post Office in Hunter Street. Also worth seeing are the old terrace houses in Cooks Hill and Newcastle East, and the restored Beaumont Street in Hamilton, which had been all but destroyed in the 1989 earthquake. 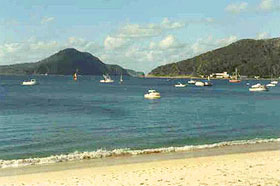 Further north than Newcastle, the magnificent harbour of Port Stephens provides a stopover for vessels sailing along the Eastern Coast. To the north of Newcastle stretches Stockton Bight with the wreck of a bulk coal carrier forming a landmark.